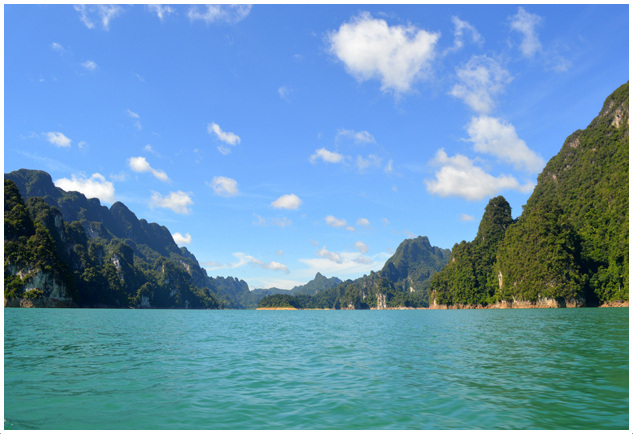 Located several hours north of Phuket, Khao Sok National Park is one of Southern Thailand’s crown jewels. 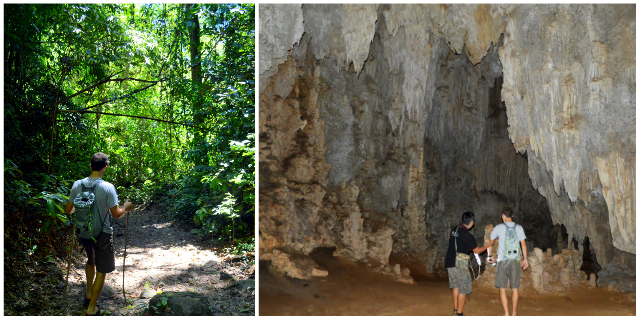 The park is full of stunning limestone cliffs, riverways, jungles, and wildlife. Yet, what’s best about the park is its relative seclusion thanks to its distance from major tourist destinations. From Phuket, Khao Sok’s main entrance is nearly four hours away, which makes the seclusion a great blessing but also a curse. The distance means park visitors won’t be hampered by throngs of tourists as you are in Phuket and Koh Phi Phi. However, getting to the park can be a challenge if not reached through chartered tour. You can take local buses to the national park but they’re often unreliable. Any number of travel threads on the subject yield wild and adventurous stories from travelers who have attempted to make the journey to the park by themselves. 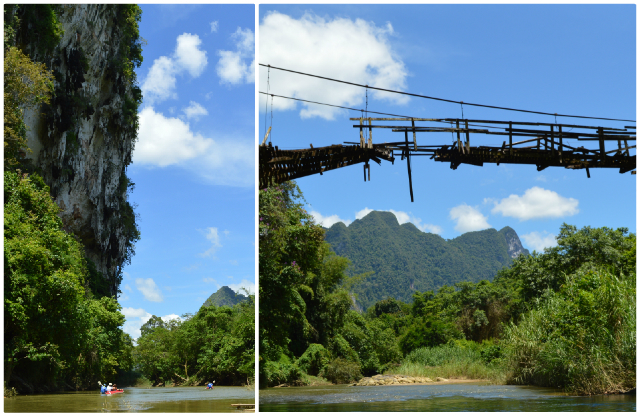 However, don’t let the distance dissuade you from visiting Khao Sok National Park. Its natural beauties are clearly worth the trip. Just be smart about getting to the park. Most travelers hire a local tour companies, this option requires the least amount of planning but will also inflict the most damage to the wallet. Like most tours, the itineraries are set and usually don’t allow much wiggle room to explore on your own. If that solidarity is vitally important for the experience, don’t hire a tour company. A little bit of research and planning will get you there. Most visitors, however, seek the adventure without the planning - which is where a tour company comes in handy. Yet, deciding on the right tour can be daunting. A number of tour companies offer a myriad of possible tours. This review’s objective is to make the selection process easier by providing the adventurer with a little bit more information about different tour activities. 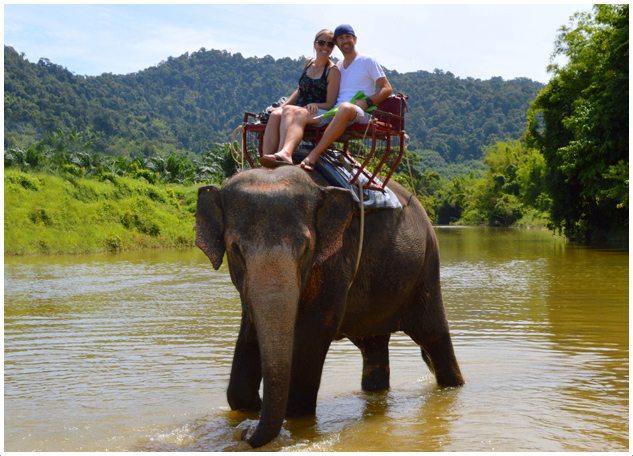 Most Khao Sok tours offer an Elephant Trek as part of the package. For those visiting Thailand for the first time strongly consider this option. How often do you ever sit atop a one-ton beast as it moves through the jungle? Plus, the photo opportunities are worth it. Nothing quite says, “I’m in Thailand” like riding an elephant. But don’t let the tour operators oversell you on the “jungle” experience. The elephant ridding occurs on the side of a busy road on some well-traveled walking paths. The elephant experience does involve a river crossing which is unique and provides the best photo opportunities. As many discover, the novelty of riding the animal wears off quickly and soon the plight of these animals is realized. The elephant’s entire existence is to walk around with humans on their backs. It kind of deflates the experience. The tour does allow guests to feed the elephants bananas at the conclusion of the ride but this costs a nominal fee. 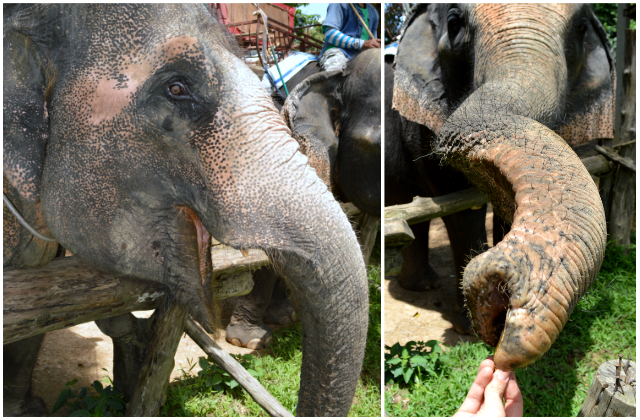 Feeding the elephants might be the best part of the entire experience. The entire activity usually lasts around an hour, maybe an hour and a half. Cruising the Sok River is a neat experience. It’s no white-knuckle, river rafting adventure; rather, this experience is all about gently floating down a mild river soaking up the beauties of Thailand. The float usually occurs on rubber rafts, but some of the tours offer rafts made of bamboo to heighten the experience (check with the operators before booking for the bamboo raft option). On the river, the guide will do all the hard paddling work so the you can sit back and enjoy the ride. Remember to bring the camera as photo opportunities are plentiful. 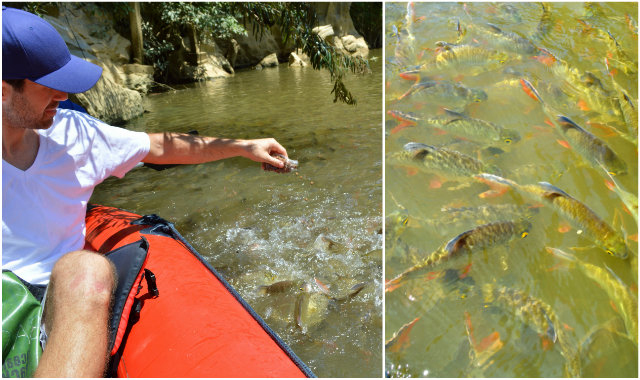 There is an abundance of wildlife to be seen such as fish, snakes, and monkeys. Floaters will often see fisherman, kids playing on the banks and pass under the occasional bridge. But despite the river’s proximity to civilization, it does offer beautiful vistas and wildlife observation. 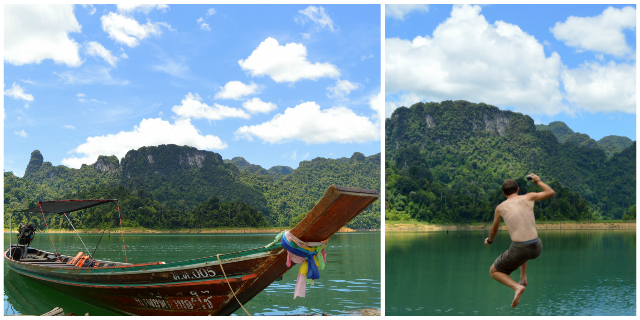 If you do nothing else at Khao Sok National Park make sure you explore Cheow Lan Lake. The waters are a sharp turquoise and the towering limestone cliffs create an imposing view. This lake is something that must been seen to really appreciate it. Most of the transportation on the lake requires long-tail boats, which just adds to the experience. Again, the camera is a must. Most visitors to the lake either do so as a day trip or stay overnight on a raft house as part of a longer excursion. From the lake you can visit caves, hike to waterfalls, fish, or bird watch. Quite frankly, it probably doesn’t matter what the activity is as long as it involves the lake. Everything is beautiful. There are places to order food on the lake and chances are good that your tour will involve a stop at one of these floating restaurants. The raft houses are one of those things that sound really fun, but in actuality, might not deliver. If your tour involves an overnight stay in one of these, proceed with caution. Many of the raft houses don’t have air conditioning which can make things toasty. To top it off, they’re not in the best-kept shape, either. The raft houses don’t consist of much more than a small single room hut with a mattress on the floor. However, Thailand is about the experience right? So go for the adventure! Plus, the view from these houses is spectacular. However, make sure to do some research and ask about the condition of the hut before booking the tour. Also, depending on when you go there might not be much happening at night and some guests can get a little stir crazy. 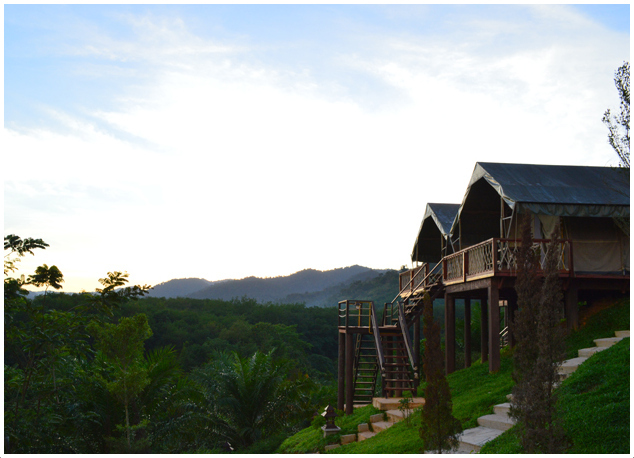 The best sleeping accommodations in or near the park are the boutique camps offered by Back to Basic Khao Sok Discovery. The views from the camps overlooking the park are absolutely breathtaking. 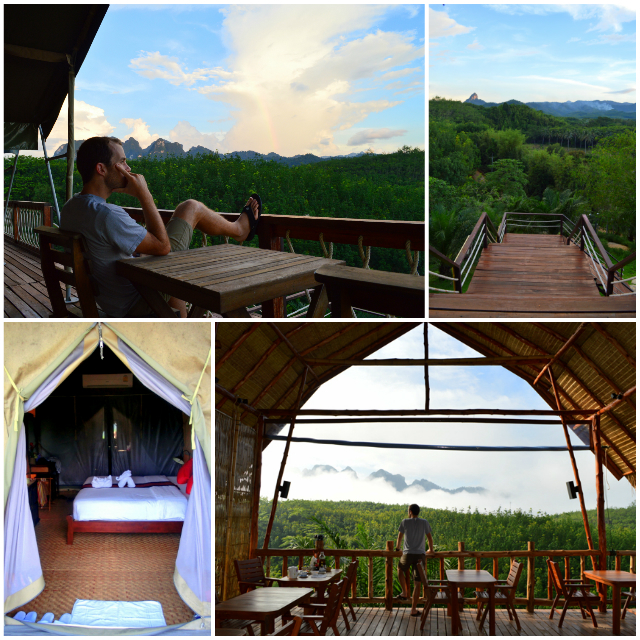 The accommodations are essentially high end tents erected on wooden platforms. That might not seem like much, but they’re a lot nicer than how it sounds . The camps are relatively new and very well kept. Each room comes with it’s own bathroom and shower. If the tour offers this option, jump at it. 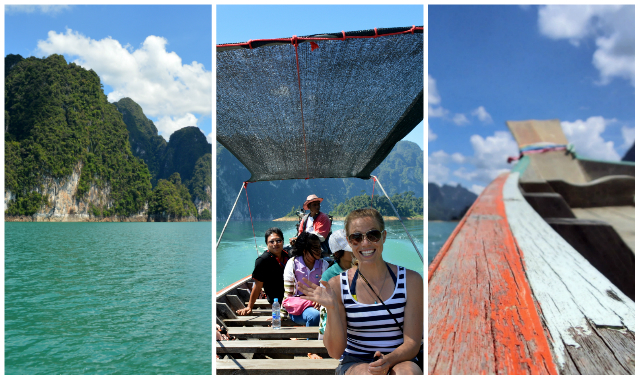 As we’ve mentioned, the number of tour companies that organize tours of Khao Sok National Park are numerous. Most of them do a pretty good job of making the tour a fun experience but some organizations stand out above the others. 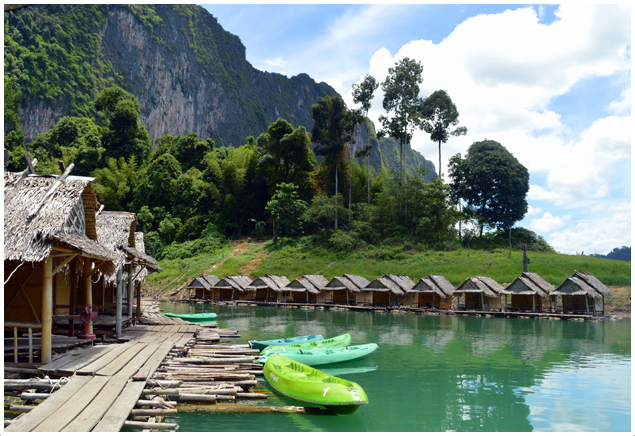 Back to Basic Khao Sok Discovery is probably the highest regarded of the tour companies and a top-notch outfit. They also offer the boutique camps, which are highly recommended. Their tours also provide round trip transportation from Phuket (or from just about anywhere in Southern Thailand, including the Phuket Airport). 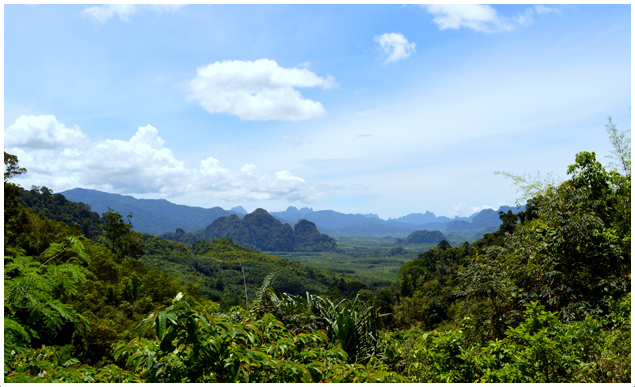 Back to Basic should be the first place to start when researching an adventure to Khao Sok National Park.